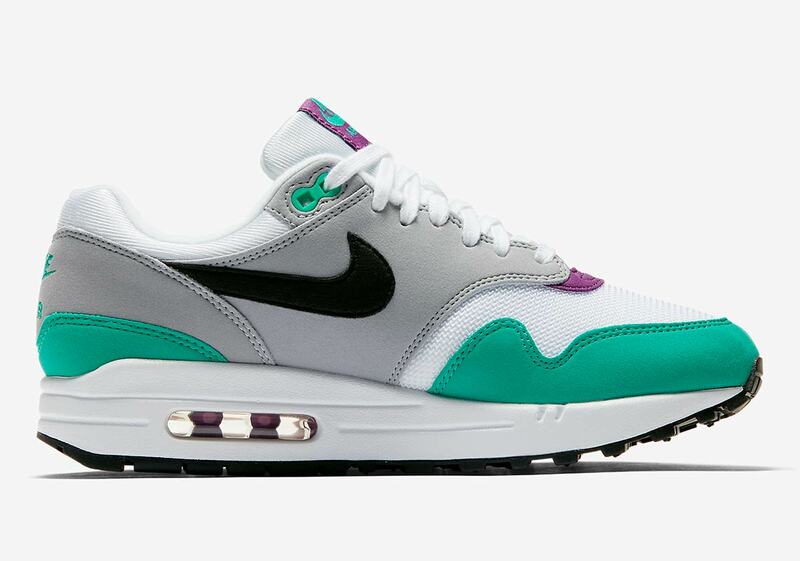 The Swoosh is doing one of their most iconic models right this July, as the Air Max 1 is set to release in a multitude of summer-ready colorways. One of the most head-turning out of the pack? 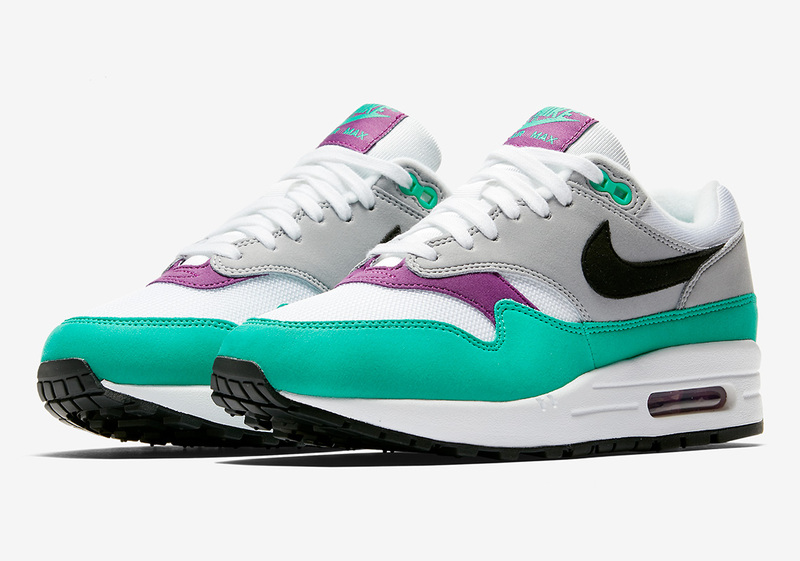 The “Clear Emerald,” a women’s-only colorway that bears strong similarities to the classic “Grape” color combo—first used on the Jordan 5—that’s surfaced again recently on other classics like the Air Max 95 and Air Max 97. 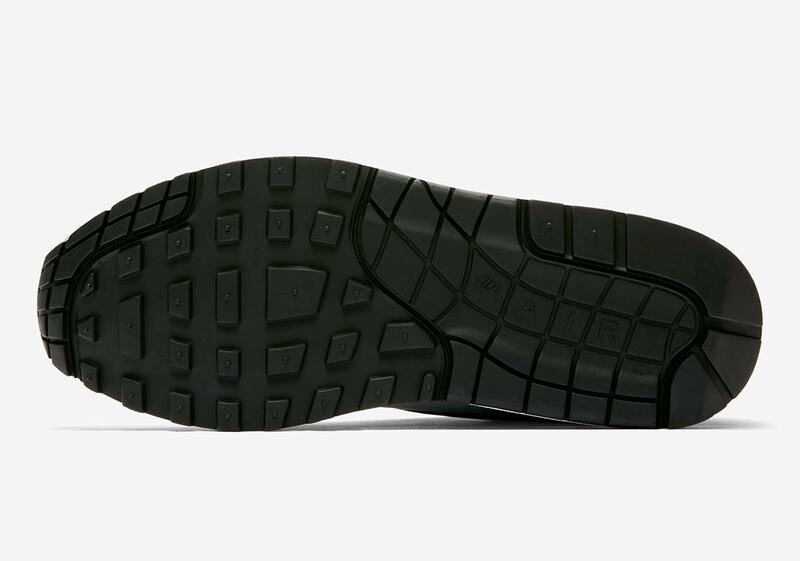 The shoe uses white mesh as a base, while grey and black accents arrive via the midfoot panel and swoosh respectively. 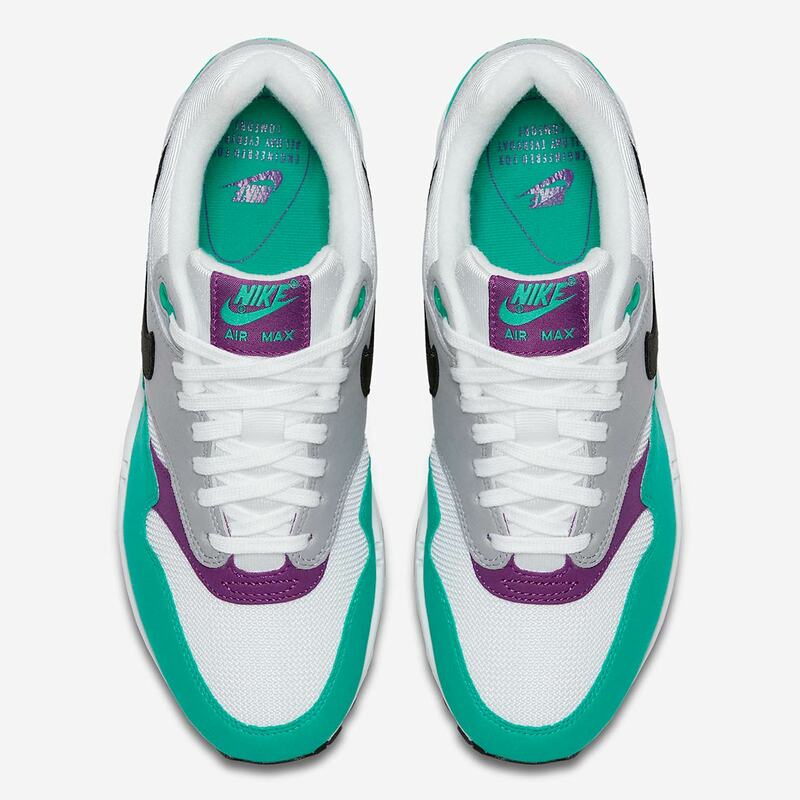 Bright pops of color are provided by the striking teal mudguard and the purple detailing on the bottom of the shoe’s throat/tongue patch. 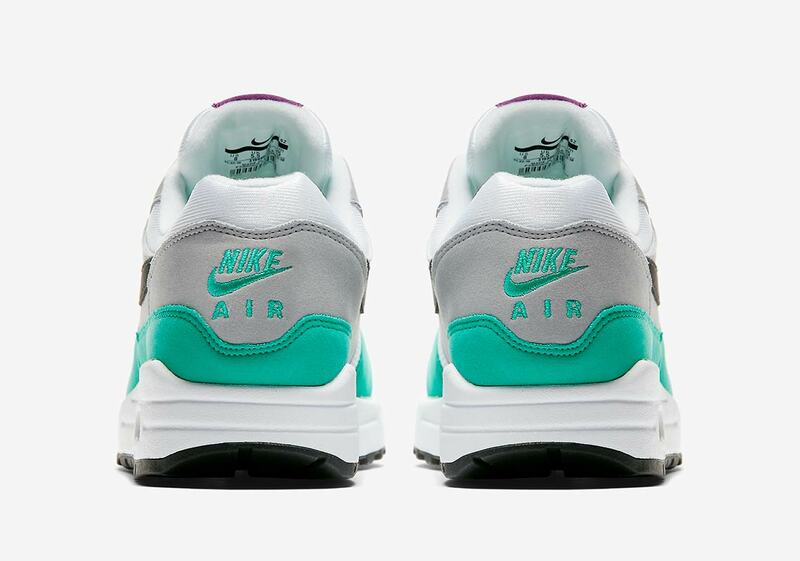 Further Nike branding arrives via the teal logo hit on the heel, and the shoe is completed with a white midsole, purple Air Max bubble, and black outsole. 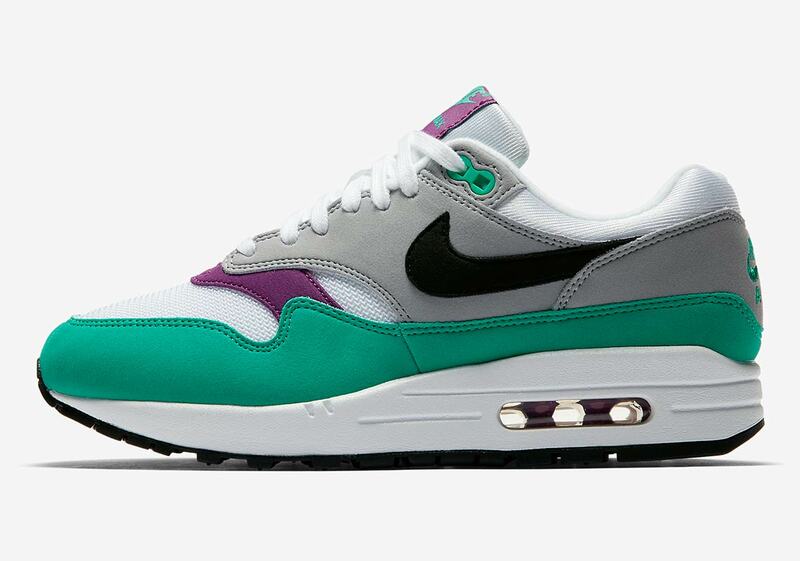 Enjoy a full set of images below, and look for these colorful Air Max 1s to arrive on Nike.com this July.